Whether you’re an experienced or beginning gardener, you’re sure to find and learn something great! 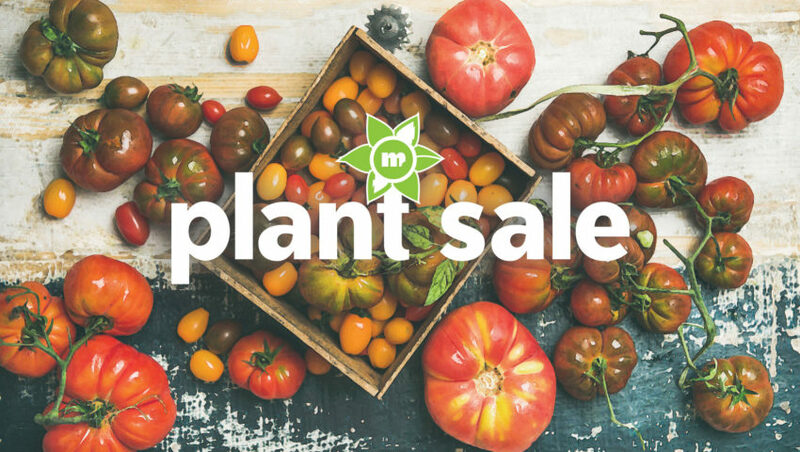 Known for a comprehensive assortment of Minnesota natives and an extensive vegetable and herb selection, our annual spring Plant Sale enthusiastically ushers in the return of Minnesota’s peak growing season. As always, a variety of exciting new plants will be available at our West 7th store in response to feedback and suggestions from co-op shoppers and staff. This year’s plants will once again be locally sourced from Glacial Ridge Growers (Glenwood, Minn.), Green Earth Growers (Prior Lake, Minn.), and Rush Creek Growers (Spring Valley, Wis.). Each local grower is strongly committed to sustainable growing practices. Everything at the Plant Sale is grown using organic standards with a healthy selection of certified organic vegetables also available. New this year, an Early Bloomer Sale will occur at our West 7th store from April 24-May 2, 7:30 a.m.-9:30 p.m. daily. This lead-up to the full Plant Sale will feature cool-weather-tolerant flowers including native pollinator packs, hardy perennials, and seasonal annuals. A great selection of hanging floral baskets and planted patio pots will also be available. Speak with edible gardening experts and get your questions answered. Ramsey County Master Gardeners will be on hand each Saturday during the Plant Sale from 1:00-3:00 p.m. sharing information and resources on a variety of topics. Co-op staff member Winona Gomez will also be holding a special kids’ activity at our West 7th store during these times related to each day’s Master Gardener topics.